If Atari and Magnavox had funds to design complete lines of video games, there were other small businesses that tried to enter the market as they could. Executive Games is a great example. Executive Games Inc. of Dorchester, Massachusetts was incorporated in 1968 under the direction of owner Peter Stepanek. Games and novelty items, such as chess and backgammon, were the company's original product line. Foot-high chessmen and a plush checkered playing surface rug evidenced the unique and novel appeal of one chess set. By 1974, yearly sales had grown to $2-million and the company was on the verge of a major two-fold product expansion. 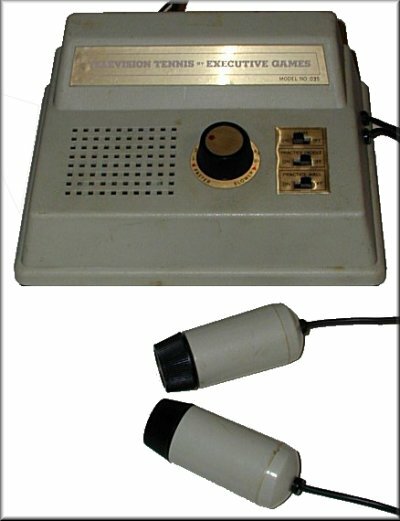 Executive Games became one of the leading producers of home video games by January 1976. The electronic games market flourished in late 1975 as a major development in the consumer electronics industry, following hand-held calculators and digital watches. Until then high costs had restricted video games to coin operated machines in public areas. Peter Stepanek recruited the engineering skills of a group of M.I.T. 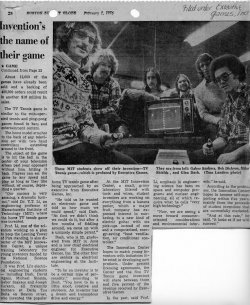 students to develop a less expensive version of these popular games: Gabor Szakacs, Robert Dickson, Mike Shields, Glen Dash, David Agans, and Joseph Corkery. 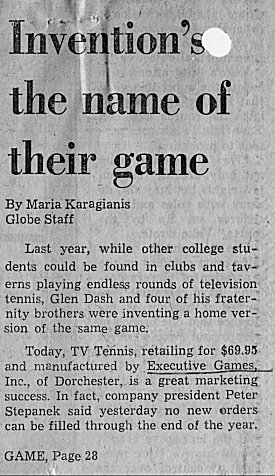 Glen Dash continued working on video games after the Executive Games plant closed in 1976. He was another key person in this field, not only for his unique competences in FCC testing, but also as an engineer. More details can be found at the end of this page about the works of Glen Dash. 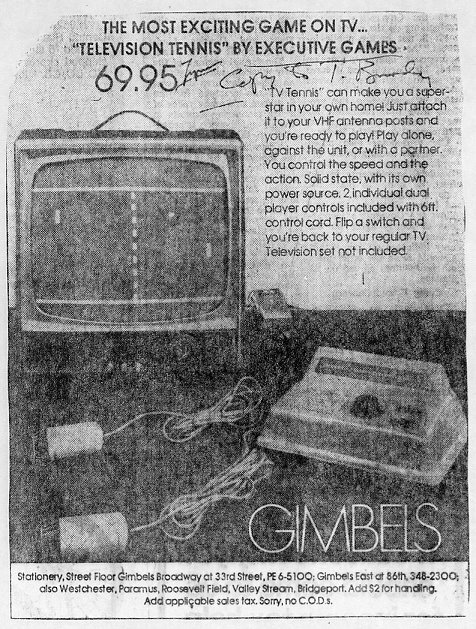 The company released two video game systems in 1975 and 1976: Electronic Television Tennis and Face Off (TV Hockey/Soccer). Electronic Television Tennis was the third American home video game system (excluding URL Video Action II and III. See why on the URL page). 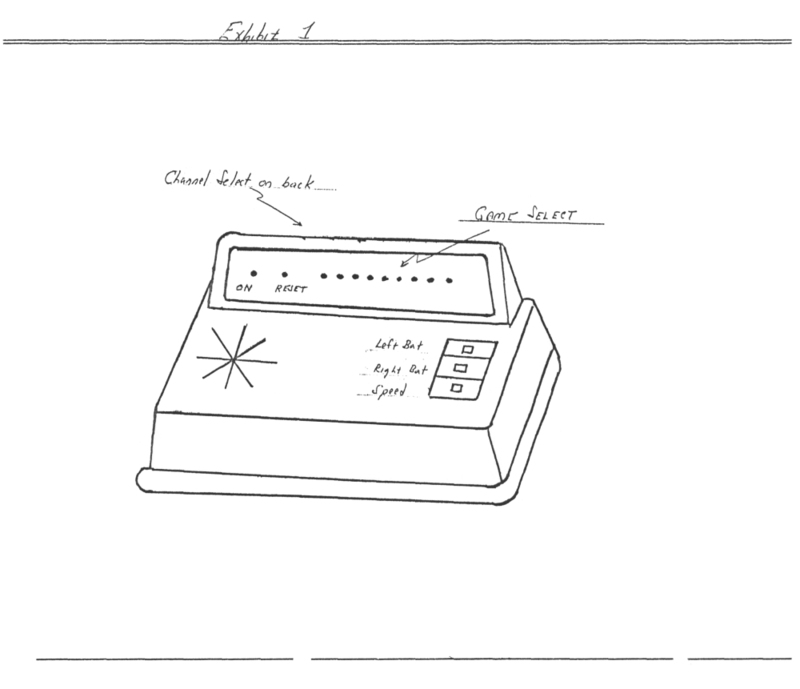 It passed the FCC tests only a month after Atari Pong and began selling in the fall of 1975. 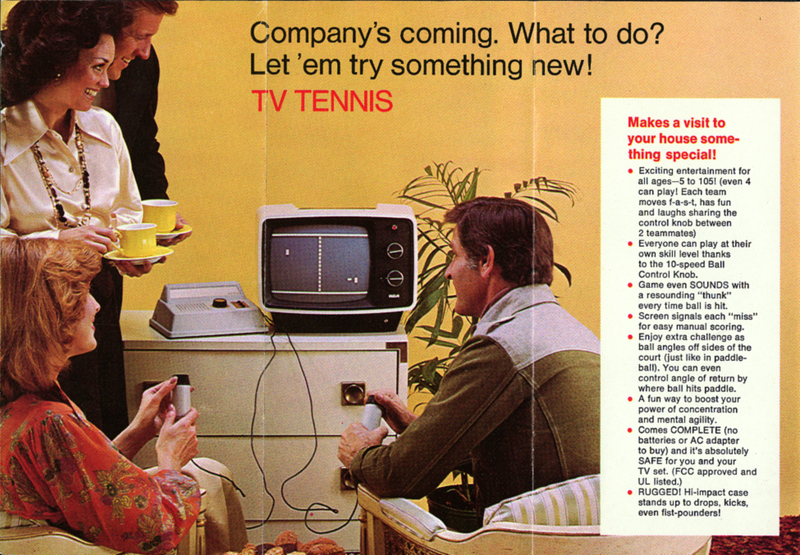 Executive Games continued to sell Television Tennis until October 1976. 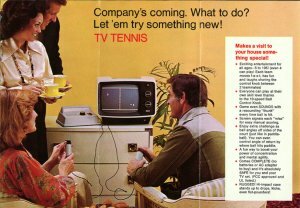 Despite being a small company, Executive Games managed to sell approximately 65,000 Television Tennis games during that time (Magnavox produced 140,000 Odyssey units in 1972, and only around 60,000 in 1975). Approximately 18,000 Face Off units were produced and approximately 13,000 units were sold between October and December 1976. The remaining 5000 units were either sold as surplus in 1977 or went missing in a robbery of the Executive Games' Dorchester, Massachusetts plant just before the close of the 1976 Christmas season. 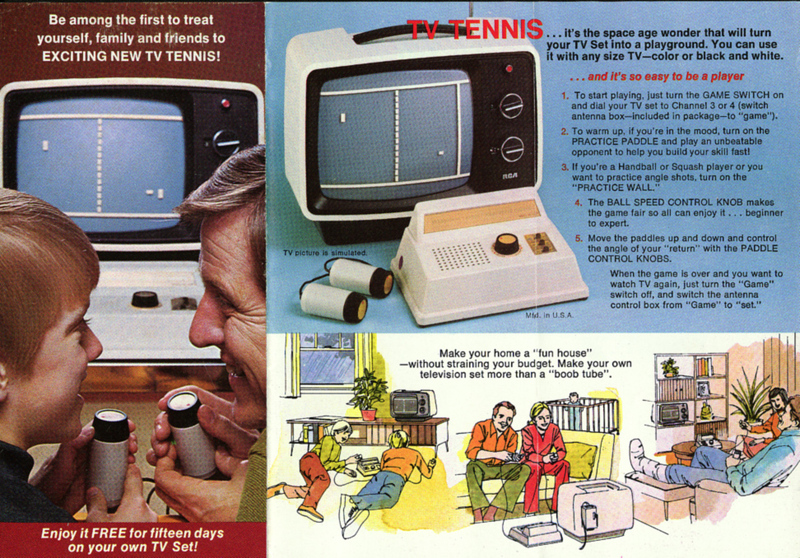 Left: Television Tennis unit and its two hand controls. Right: Tennis and Practice screenshots. David B Lamkins who originally did board-level repairs on Executive Games systems and remembers really well the story of that company emailed David Winter mid-2001 to tell what happened exactly. I was hired to do board-level repair on their TV tennis game. I ended up not only doing the repairs, but also running the repair department which was four to five people besides me. 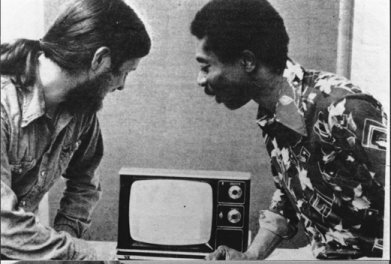 The game electronics were designed mostly by Glen Dash. I believe that he was still an MIT student at the time, working in MIT's "Innovation Center". The mechanical design was done by one of Glen's fellow students. I didn't have as much daily contact with this fellow, and can't recall his name. There was probably some kind of licensing agreement between Executive Games and MIT, but I never knew the details. Executive Games was owned and operated by the Stepanek family. I think the president was Peter Stepanek. His two sons worked with him. The family ran another business from the same space, making canvas tote bags. I believe that company did business under the name "Totes". Keep in mind that the electronic game business was in its infancy, and that there were no trade-specific magazines, retail outlets, etc. The only trade show that was applicable was Toy Fair; I'm almost certain that's how Executive Games introduced their products. The Stepaneks took advantage of their distribution channels for the tote bags. They sold totes to many of the large department-store retailers. This gave them the connections they needed to get their TV tennis product into the big stores. The factory was located in the old Bakers Chocolate building in Milton, MA. My "office", shared by the four or five techs I supervised, was an enclosed bridge above the alley between two buildings. Occasionally a trailer truck just an inch or two too tall would scrape beneath the bridge, and everything would shake up and down. There was no heating or air conditioning in that space, so we ran lots of space heaters in the winter and lots of fans in the summer. 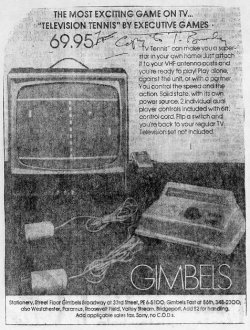 Executive games made a big splash with the TV tennis game, which was the first such game to retail at under $100. This was either the Christmas season before Atari's Pong hit the stores, or Pong started at a higher price point - I'm not certain about the details. Regardless, Executive Games did OK that first season. For the second season, Executive Games developed a TV Hockey/Soccer game. This was a two-player console with a built-in X-Y joystick and a button for each player. The button was used to "carry" the ball (puck). 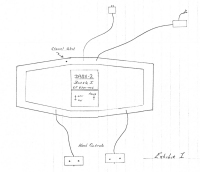 There were a lot of companies in the TV game console market, and one hurdle they all had to overcome was getting FCC approval for their RF modulators. Since Executive Games had successfully accomplished this feat for two products, they sold their services to other game manufacturers. Glen Dash would take an untested game, bring it into the lab and perform the same tests that the FCC would perform. He'd make modifications as necessary and tell the manufacturer how to change their design to pass the FCC testing. This was invaluable, since each attempt at FCC approval could take months. Being able to go in the this first time with a product that met FCC requirements saved time and ensured that the product would not miss the narrow window for Christmas sales. Executive Games folded shortly after that second Christmas season. At the time, I was working in the MIT Innovation Center lab trying to find suitable materials (focusing on conductive polymeres) to design a low-cost, reliable X-Y joystick replacement for the TV Hockey/Soccer game. One day, I got a call from Glen saying that the factory had been vandalized the previous night and that the Stepaneks would be closing the business soon. The technology behind both games was very similar. These were analog/digital hybrids. 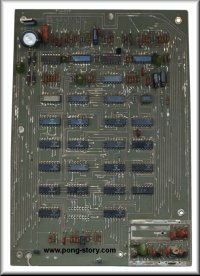 There were about 25 to 30 14- and 16-pin chips and a couple handfuls of discrete resistors, capacitors and transistors on each circuit board. 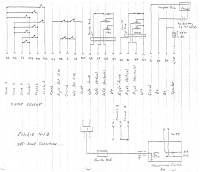 As best I can recall (I didn't take schematics with me when I left) the digital logic was used to generate the TV horizontal and vertical sync timimg. There was something unusual about that timing chain; I'm pretty sure that the horizontal frequency was derived from the line frequency by some kind of poor-man's PLL circuit. Composite sync was generated using summing resistors at the outputs of the timing chains. 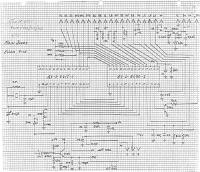 The digital circuitry was built from SSI/MSI chips - basically gates and counters - on two-sided PC boards. I'm pretty sure that the original production runs used 74LS-series chips and later runs adopted CMOS, probably a mix of 74C- and 4xxx-series. This was a quarter century ago, so I'm really not certain about the details. 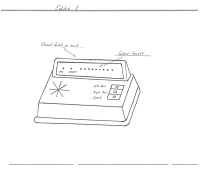 Player position was generated by the hand controllers on TV Tennis - these were a simple voltage divider that moved the comparator's window to a higher or lower voltage depending upon the position of the potentiometer in the controller. On TV Hockey/Soccer, the principle was the same. However, there was an additional RC integrator that added a lag between motion of the joystick and motion of the player on the screen to give a feel of inertia to the player's movement. 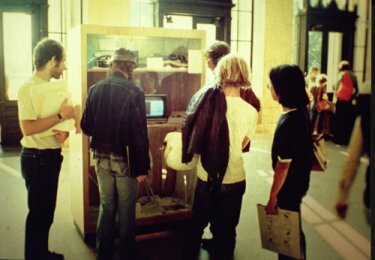 The consoles connected to the TV set using an external pod. A cable carried power and video to the pod. 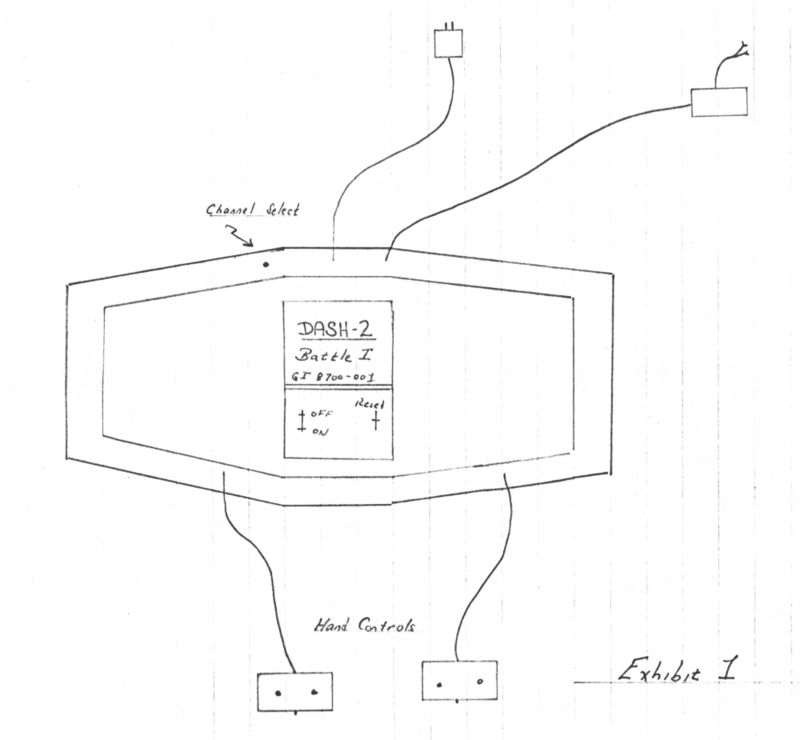 An RF oscillator tuned to channel 3 or 4 (approximately) was modulated with the video signal and coupled to the antenna terminals of the TV through a switch that selected either the game or the customer's normal antenna. The pod was also designed by Glen Dash, who later turned it into a construction project for one of the electronic hobbyist magazines. Neither game console played sound through the TV. Adding an FM modulator for the sound would have been prohibitively expensive. Rather, a small speaker mounted in the console itself played "pings" gated from an appropriate tap on the timing chain. I wish I remembered how hit detection was done. 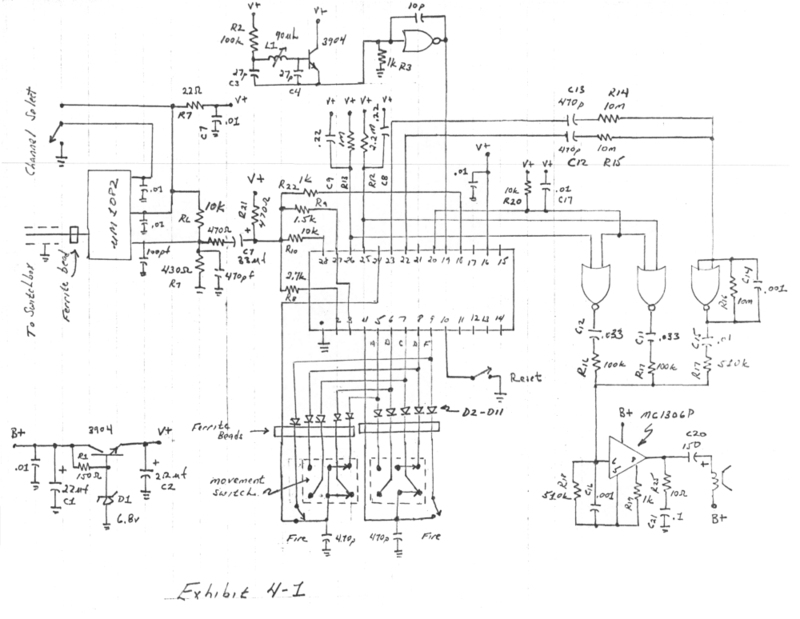 Like everything else in that circuit, it was friendishly simple. I think there were simply AND gates attached to the player and ball outputs. If both the player and ball were "on" at the same time, they had to be generating video at the same spot on the screen, thus there was a collision between the objects. The effect of a hit detection was pretty simple. In TV Tennis, it reversed the input to the integrator for the ball's horizontal position, causing it to reverse direction on the screen. There was some clever bit of circuitry that affected the ball's vertical motion depending upon where it hit the player vertically, but I don't remember how that worked. TV Hockey/Soccer behaved similarly, but there was an added button that would slave the ball position to the player position allowing the player to "carry" the ball. Finally, there were a pair of seven-segment LEDs on the console for scoring. This was cheaper than generating on-screen characters with the technology of the day. I don't recall how a goal was detected - it was probably another analog comparator. A goal bumped the score counter for the appropriate player and reset the ball position for the start of the next round. I hope this helps. 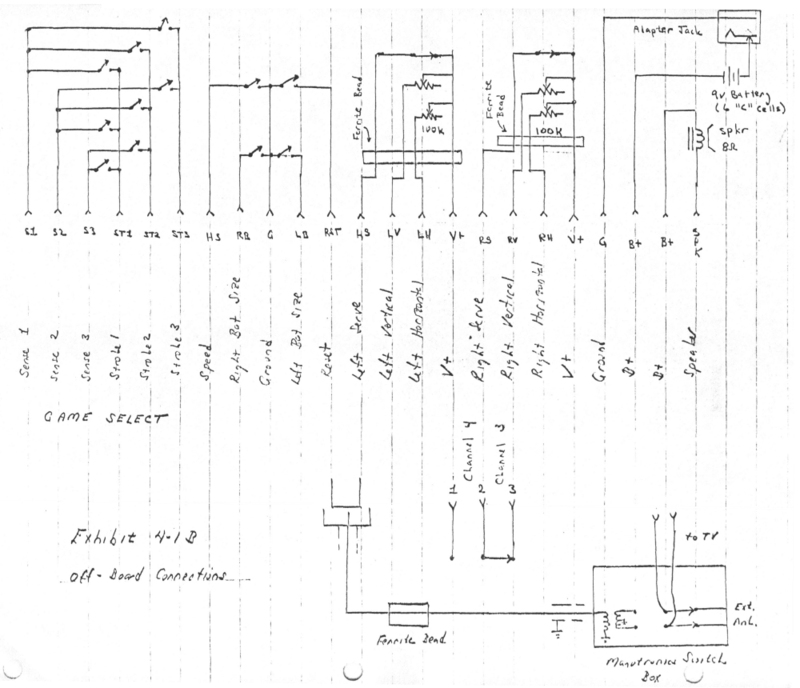 If you can locate anyone who still has schematics from those consoles, I can refresh my memory and offer a more accurate and complete explanation. Email courtesy of David Winter. The manner the FCC used for testing was not well documented so one had to see it to understand it. That is, in part, why most video games manufacturers in the mid 1970's had so much trouble getting FCC type approval. Even TV Tennis failed to pass the FCC on its first try. I made the changes and we passed the second time. Basically, the method used by the FCC involved a great deal of cable movement to maximize the emissions from the device under test. The cables moved were the power cable, the cable to the TV and in our case, the cable to the hand controls. If the FCC found any position of the cables that put the device over the limit by more than a couple dB at any frequency between 30 and 1000 MHz, the device would be failed. This coupled with very tough limits (15 uV/m at 1 meter from the device under test) and made things very difficult in those days. 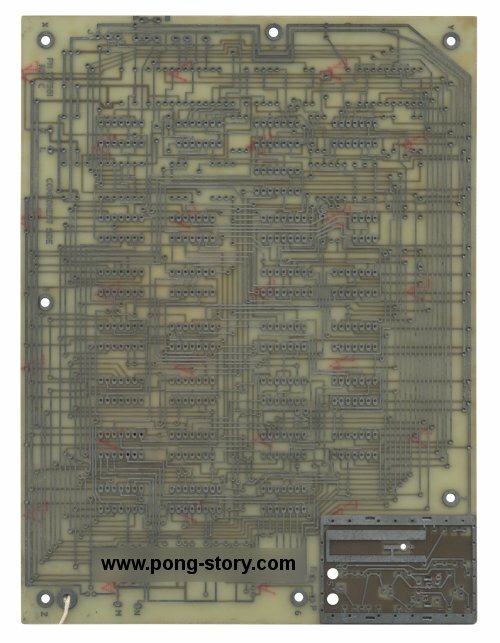 Below is an interesting set of early TV Tennis circuit boards, from pre-production to last versions. These circuit boards were given to us by Glen Dash under a specific agreement. Three of them come from his collection, the other two come from David J. Agan's collection. We sincerely thank them for their unique help. Move your mouse over them to get more details. 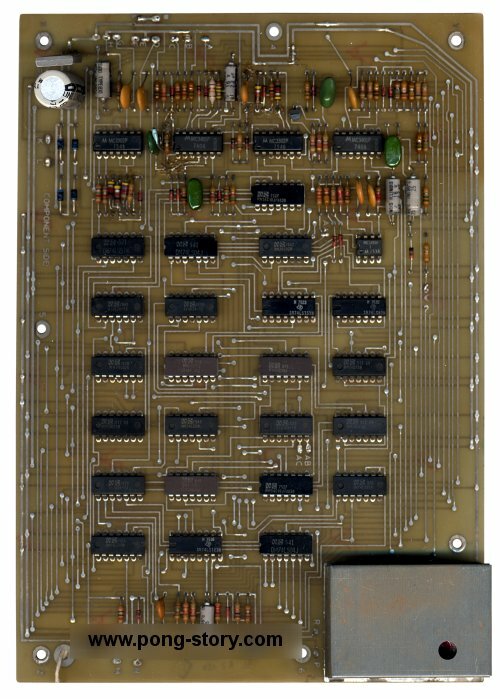 This is probably the earliest surviving circuit board for TV Tennis. Neither Rev. A nor B circuit boards went in production. 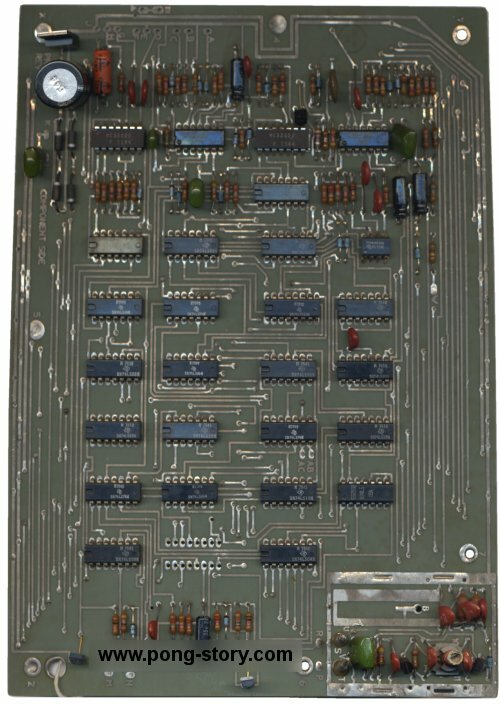 The board was used to test automatic insertion machines at Universal Instruments Corporation, a vendor Executive Games used to automatically insert integrated circuits. 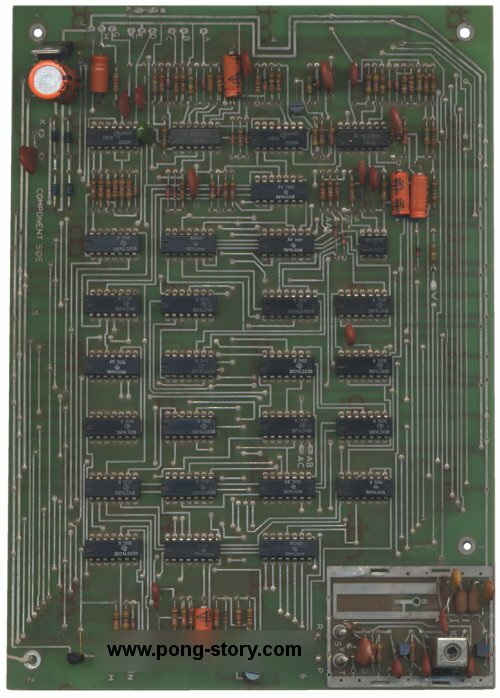 This board is populated with mock integrated circuits, hence why they have no reference. David Winter Collection (gift of the Glen Dash collection). 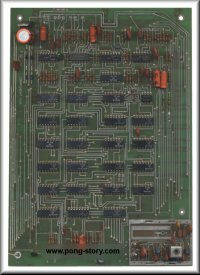 Click the photo to view the circuit board in detail. This is the first revision to go in production. These boards were produced between November 28, 1975 and December 31, 1975. It contains a hodgepodge of chip types: 74C, 54C, 74LS, and others. 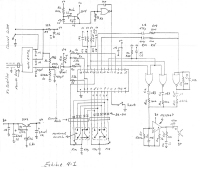 TV Tennis had initially been designed using 74L series logic whic became unavailable. 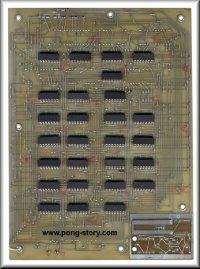 Executive Games desesperately tried to source replacements using LS or C series logic, the result being these 800 Rev. C boards (later revisions used LS logic only, see below). Out of approximately 65,000 TV Tennis units, only 800 have a Rev. C boards. David Winter Collection (gift of the David J. Agans collection). Same as previous board but without components. This board is more typical of production and uses the LS logic. Rev. AD-1 was the last revision to go into production. Glen Dash (who owns one PCK-E1 board) has no records of this version being produced so it is undoubtedly quite rare. only two switches. Also, the speaker holes were hand drilled (compare with picture below). Pictures courtesy of Glen Dash. talented technicians. They are playing the Face Off game. Picture courtesy of Glen Dash. 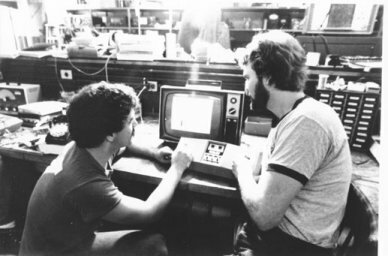 Mike Shields and Glen Dash playing the tennis game at the MIT lab. 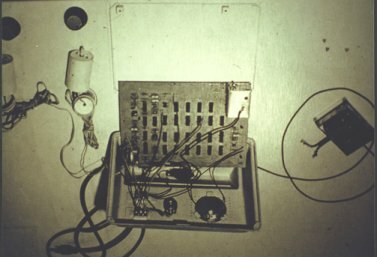 The game shown is an early prototype, possibly the first one made using a pcb. Note that it only has two switches: the robot paddle had not yet been added. main building at 77 Massachusetts Ave. in Cambridge. the field of the second player, who just missed the ball. AR Brochure (scans courtesy of Glen Dash). Click pictures for large size. Rev. A and B never went to production. 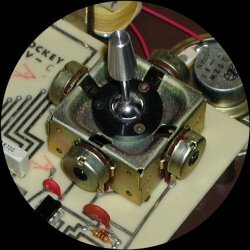 Rev A is a unique prototype which Glen Dash build and fixed. Rev B is only known as a blank board. Rev. C boards used a separate PC board for the score module. Rev. C-1 was identical but used "Launie" joysticks. No Rev. D is known to exist. Rev. E1 eliminated the separate LED board to reduce production costs. The problem that created was how to raise the LEDs so they could be seen. The solution was the raised socket. It wasn't a great idea because the LED blocks were unstable during production (however, once the housing was put on, they were fixed in place, and Glen Dash doesn't remember having any units returned because the LEDs had popped free). Most of the pictures below can be clicked for viewing in original size. 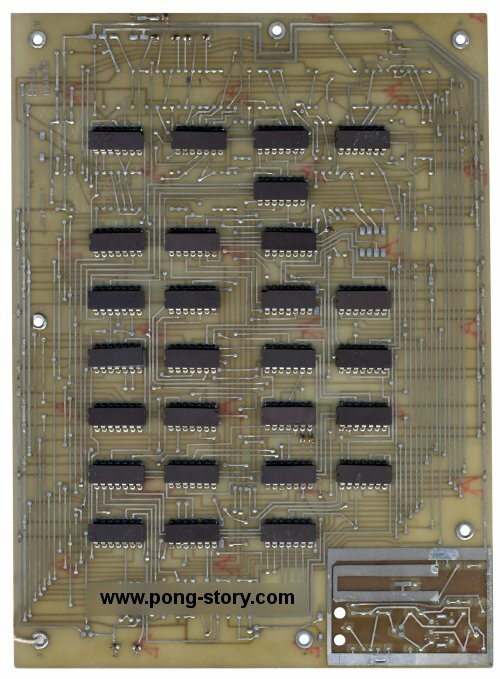 Left and right: Unique Rev A prototype board. The white arrows and circles show some of Glen's fixes. 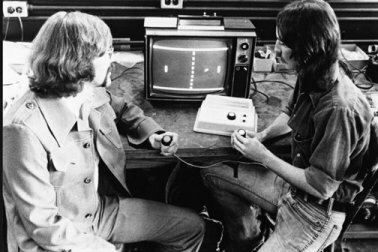 as used in the picture showing Ken Launie and Glen Dash playing the game. and the different depth of the scoring area due to the way the LED displays are mounted. decided to make its own joysticks. Two of the four pots are used. Left: Rev. C-1 with later "Launie" joysticks. Right: Rev. E1 with LED blocks on raised sockets. Face-Off box with its attractive illustration. 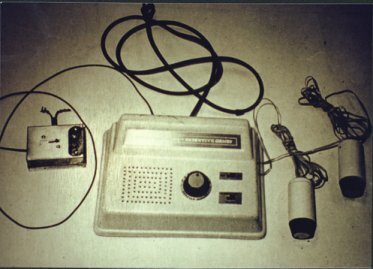 Revision C units were sometimes returned due to a joystick problem. These games used Zamco joysticks which were originally designed for quadraphonic audio systems. The joysticks were designed to control four separate audio channels, hence the four pots. The Zamco joysticks had a steel ball into which the joystick shaft was pressure-fitted. Some players would rest one hand on the unit and work the joystick with the other hand, causing an upward pressure on the joysticks which sometimes pulled the shaft out of the ball. The later molded-on ball of the in-house designed "Launie" joysticks survived this kind of pressure. Ken Launie was another MIT student. Of the 13,000 or so sold, 1,200 were returned. Of this, 580 units were unopened and not defective. Of the defective returns (about 620), 50.8% were due to joystick problems, 17.6% were due to electrostatic discharge problems, 7.4% were due to problems with the Videocube (switch-box), 8% were due to solder defects, and other problems accounted for 16.5%. These returned units were checked and repaired, if necessary, then shipped to the above mentioned discount and surplus outlets. Ken Launie and Glen Dash playing the Face Off game. Actually, the game shown is a wooden mockup. The electronics were hidden for the photograph. have been from early 1976. It was taken at the lab at MIT, Room 33-214. Ken Launie later designed the replacement joysticks for the game. 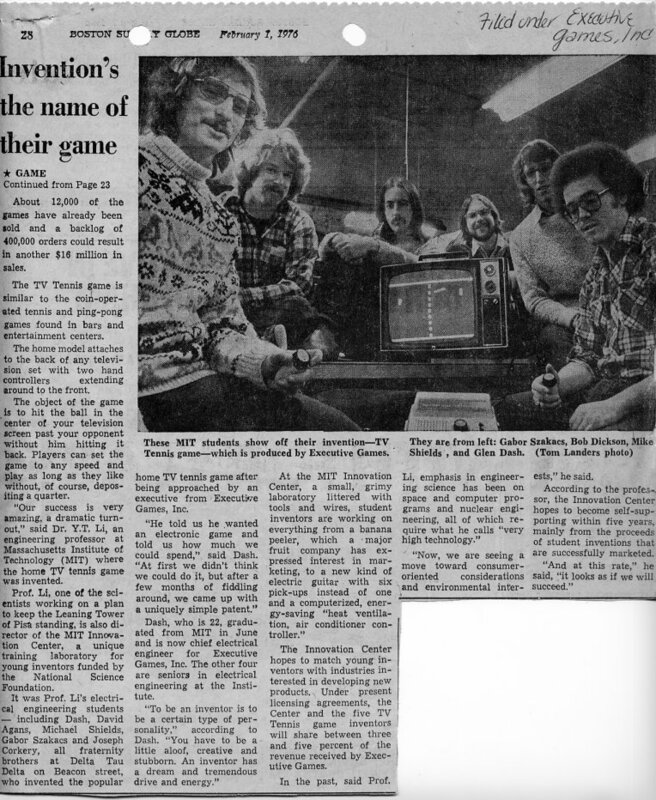 After the close of the Executive Games plant in 1977, Glen Dash continued working on video games as a consultant. He proved to be a key person in his field, principally FCC testing. In America at that time, few people had the expertise needed to get FCC approvals for electronic games, which the FCC held to strict limits.. For that reason, he was responsible for testing a large number of video and handheld games, some of which never made it to the market. 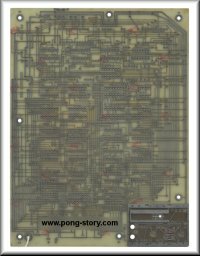 As an engineer, he also worked for General Instruments to design test prototypes for their new AY-3-8600 and AY-3-8700 game chips, for Texas Instruments (who released a game chip containing the TV Tennis circuits including the same bugs! ), and for Mattel (Intellivision console, etc). The AY-3-8600 prototype was housed in a TV Tennis unit. 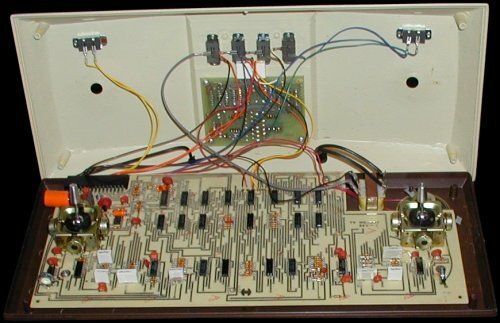 It used the AY-3-8615 color encoder and the circuits were rather simple. Glen optimized the circuit board to minimize radio frequencies generated by the local oscillators. 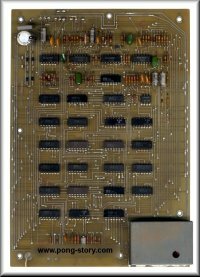 This prototype was designed while the AY-3-8600 chip was still in late development stages. 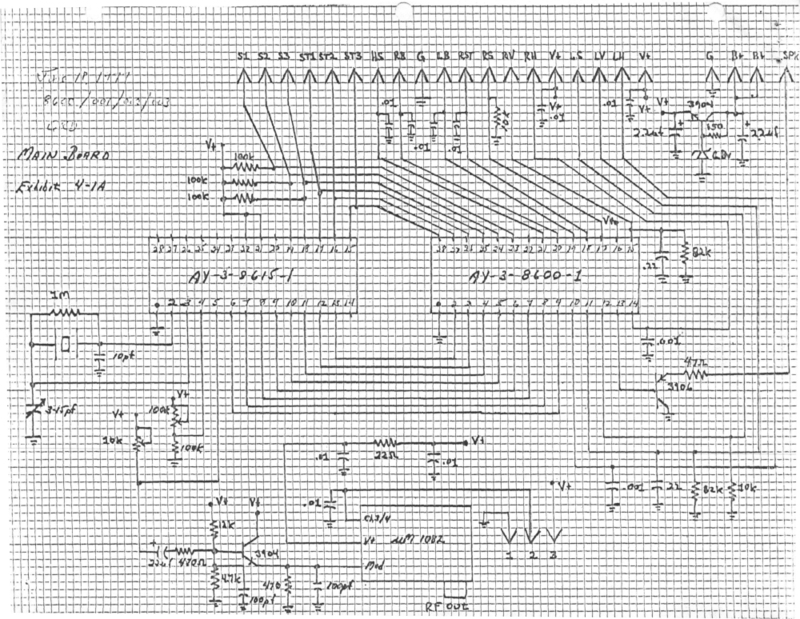 For that reason, the schematic mentions three versions of the chip: AY-3-8600/001, /002 and /003. The differences between those versions are currently unknown. 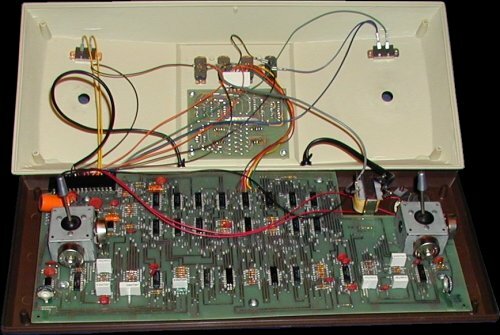 The AY-3-8700 prototype was housed in a Face-Off unit and used an early chip version /001. Once completed, the prototypes were sent to General Instruments, and the (official) story doesn't go any further. Glen Dash kept his original drawings, which you can see below by clicking the various pictures. AY-3-8600 test prototype in a TV Tennis unit. AY-3-8700 "DASH-II Battle I" prototype unit in a Face-Off case.